Last week Microsoft launched Office Mobile for iPad, iPhone, Windows Phone and Android. For the iPad this brings free apps for Word, Excel and PowerPoint which join the existing OneNote, Outlook Web Access, OneDrive, Lync, Newsfeed, Yammer and Skype apps. I thought you'd appreciate a brief synopsis of our experience with the apps; what they do, don't do, and what you need to know. While we're all about supporting users on any platform, the iPad has carved out a special place in K-12 so I'll focus on the iPad experience in particular. Before you get too excited there is a catch around licensing. Up until now you've had somewhat limited options when using SharePoint on an iPad or other mobile devices; all of which were somewhat clumsy and not what I'd call fully featured. You could view Office documents using Office Online (Web Apps in the browser) or using a third party app. Editing was also possible using third party apps but it's not seamless or full fidelity. Desktop computers using Microsoft Office on a Mac or Windows PC. For a seamless experience you'll want Office 2010 (or later) and Office for Mac 2011. For seamless editing on a Mac you'll need SharePoint 2013. Now using an iPad, iPhone, Windows Mobile or Android devices. The future has arrived. I've been using OneNote for a long time and, excuse the cliche, but the ability to access your content on any device, anywhere, has been really powerful. It's great to see that same experience made available for the rest of the Office suite, on all the major mobile platforms. SharePoint 2010 users can view and edit documents but it's a somewhat clumsy experience. Opening documents In SharePoint 2013 is mostly seamless thanks to Microsoft's improvements around cross browser support. It's perhaps a very important reason to consider upgrading to SharePoint 2013. The iPad experience is the best of the bunch (Ars Technica review). While it works reasonably well on smartphones it's more limited, in part because of the small form factor of a phone. Paul Thurrott has an in depth review of the iPhone version. The catch, and it's big, is licensing. The good news is any user can view documents anywhere. The bad news? To create or edit files you will need an Office 365 Education A3 or A4 (or other eligible license). The free Office 365 Education plan (A2) is not eligible. You can as always edit docs using the desktop client or Office Online using a browser (including Mobile Safari on the iPad). 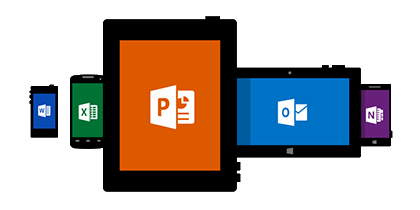 Apr 21, 2014 - Microsoft have informed us that Office 365 Professional Plus is available to students for free if your district has Office licensing for staff and administrators. This is part of the Student Advantage program. The Microsoft Education blog has more details. The apps are a great improvement for all SharePoint users on iPads or iPhones, however the tight Office 365 integration is going to confuse some users. On premise (self-hosted) users need to 'Add a place', select SharePoint, and enter the address of the site they are connecting to. While Microsoft is understandably trying to get everyone into their cloud before Google assimilates them, that's not a solution that's going to work for everyone. Test drive - Take them for a spin to understand the experience. While it should just work there's always the possibility of integration or configuration issues. If you experience any issues please let us know and we'll do our best to help. Communicate - With so much going on in the work life of your staff and teachers it's going to be helpful to plan some form of communication to let them know what's possible and how it works. Roll out - Customers with iPad volume deployments will need to plan device updates. Apple's recent device management improvements make that process much easier. How-To guide - While Microsoft has made the Office 365 experience seamless, customers with on-premise SharePoint don't have it quite so good. Some simple training, a how-to guide and some awareness should address that concern. We'd love to share a guide with our customers if anyone is willing. You can also check out the Office blog and the YouTube Office Mobile for iPad video for more info. We'll be continuing to evaluate the experience on a wide variety of devices. Follow us on Twitter for updates and we'll also be posting to the Yammer user group.